President Obama left Addis Ababa after a three day visit with a warm family style farewell. 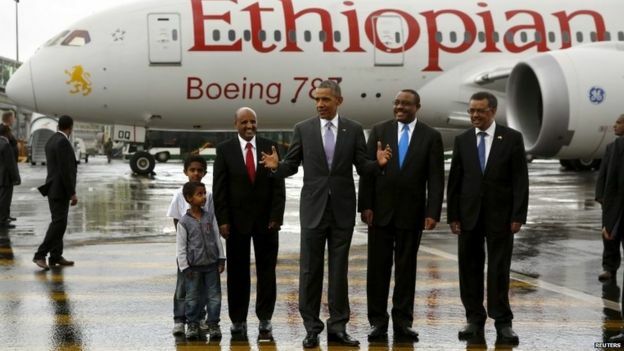 Ethiopia welcomed Obama as if he is one of her sons and it shows - He must be very humbled! The government of Ethiopia is trying its best to accommodate the Diaspora Ethiopians in the development of the country even though some say the government of PM-Hailemariam is not doing enough to reach the millions of Diaspora! As you know the government will be meeting...For More and to Leave Your Comment/Questions >>>> Click Here! Ato Dawit is a very successful businessman. He was one of the handful Ethiopian investors who returned home after the fall of the Derge regime from Abu Dhabi .He sat with Getachew Aregawi to discuss about his current business in Ethiopia and the challenges he is facing to start his philanthropic establishments in Tigrai. The interview was made exclusively for Aigaforum. The state agreed to purchase power at 7.53 U.S. cents per kilowatt hour in an accord signed on Monday during President Barack Obama�s visit to the Horn of Africa nation... We understand geothermal power is more expensive to develop and maintain production but is Ethiopia buying power from such source only to sell it to Kenya and Sudan at a much lower rate? A layman question that needs an answer is: What is the per kilowatt hour Ethiopia promised to sell to Kenya, Sudan and others? We could be wrong but we heard it was less than 6 U.S cents! It is our land and our natural wealth and at the very least the company should be allowed to make its profit but should relinquish the ownership once it has recovered its initial cost! G/tsadkan Kebede July 29, 2015 � Ethiopia the origin of human beings, the home of tolerance of the two main religious faiths is model for an emerging economic growth and development. As President Obama, in Addis Ababa, stresses the importance of democracy in Africa, Christiane Amanpour speaks with Foreign Minister Tedros Adhanom. ADDIS ABABA, July 28 (Reuters) - Barack Obama told African nations on Tuesday they needed to respect democratic rules and create jobs to avoid a slide into disorder. President Obama confirmed what assistant secretary Wendy said that his government does not support any organization that uses violence to overthrow a democratically elected government of Ethiopia. Obama also said the Ethiopian government is a democratically elected government. The issue with G7 and company will reach the tipping point once US and Ethiopia share their intelligence. Is G7 simply bluffing when it said it has started war against Ethiopia? 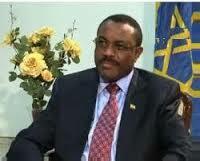 Was one of its officers from London bluffing when he confirmed chairman Berhanu is in Asmara to coordinate the battle? We will know soon after Obama returns and discuss with his intelligence officers as to what Berhanu was up to. 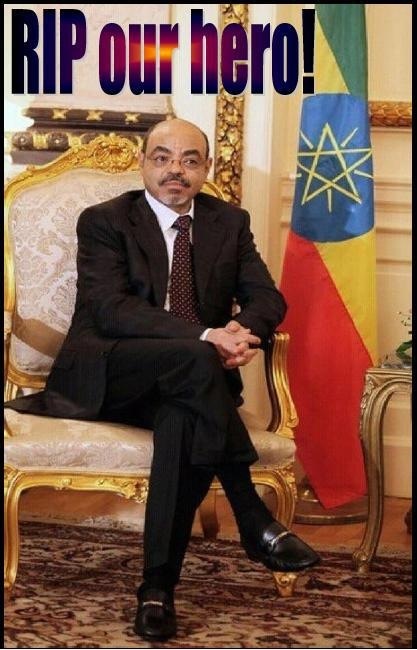 We all know what ESAT and Dr Berhanu said- ESAT said there is war between G7/Arbegonch and Ethiopia and Berhanu said he got money from foreign countries! We think the organization is using violence and the Obama administration has no choice but to denounce it! ADDIS ABABA, ETHIOPIA President Barack Obama met an unexpected guest on the way to Monday night�s state dinner at Ethiopia�s National Palace � Lucy. She�s the most complete skeleton of an early human ancestor ever discovered. 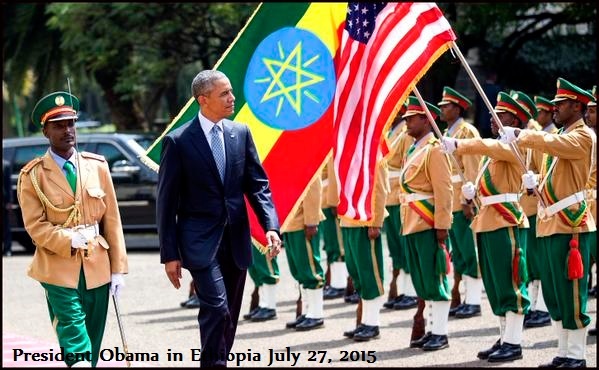 President Barack Obama has praised the work of Ethiopia's armed forces on what is the first visit by a sitting US president to Ethiopia. 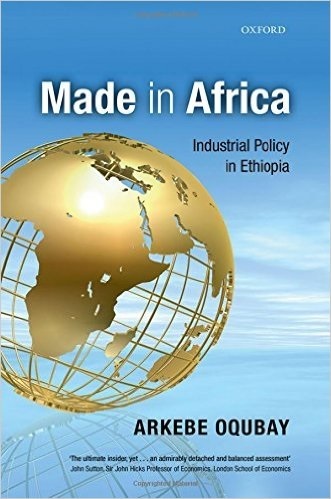 Ethiopia is fast becoming the economic lion of Africa, and much of its growth can be attributed to agriculture. According to the U.S. Agency for International Development, Must Watch- A Very Good Analysis and Narrative of Ethiopia Today! Birhanu�s baptism of fire and Terrence�s hogwash are the height of folly. Moments like this are for celebrations but it hurts Meles who pioneered the latest resurgence of Ethiopia's notoriety in the world stage is not with us anymore! In any case Glory to all our Martyrs! Notice:To All Diaspora Amara Members In Great Britain!